Cycling through a tunnel on the rail trail near Matarraña, Spain. Scary, but exciting, according to Con O’Brien, author of The Ebro Drift blog. The Matarraña trail is just one of thousands of rail trails all over the world. Rail tracks no longer in use are pulled up, railbeds resurfaced, bridges and tunnels checked for safety. In some places old station buildings are converted to cafes or guesthouses. Railway gradient is perfect for cyclists and walkers, the countryside is interesting, and whether for long journeys or short sections, the trails provide great opportunities to exercise and travel at the same time. Rail trails are international tourism magnets. 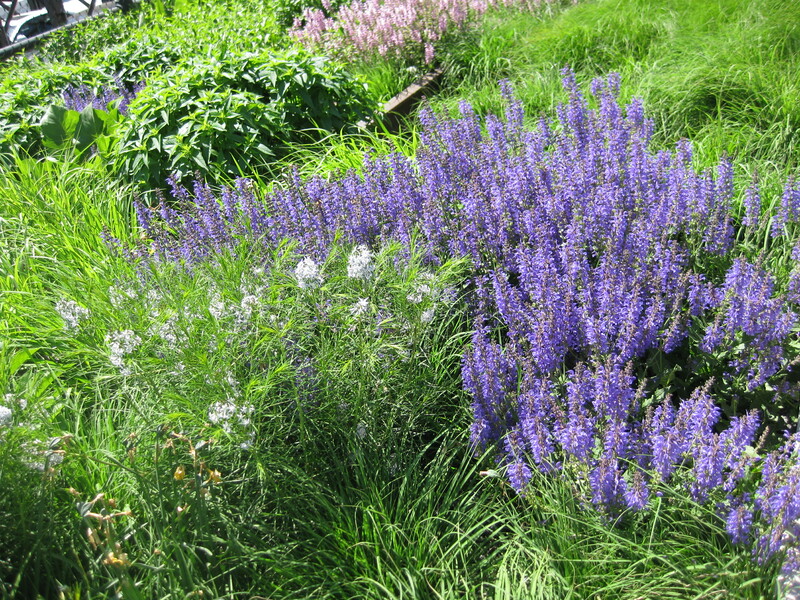 In New York City, I walked on the High Line, a disused elevated freight railway line converted to almost two and a half spectacular kilometres of wildflower parkland, walkway and art space, stretching above west Manhattan. The line came very close to demolition before concerted pressure by far-seeing activists and the public saved it. Now, ten years later, the High Line is a much-loved public amenity and major tourist attraction. In California I visited Monterey’s Cannery Row, the setting for John Steinbeck’s classic novel of off-beat characters living there in the 1940s. The Southern Pacific Railway ran through here, but since the 1980s its track has become the “Rec Trail”, an eighteen-mile-long recreation trail for walkers and cyclists. The Cannery Row section passes depictions of scenes from the famous book, old carriages, items of railway equipment, and the Monterey Aquarium. 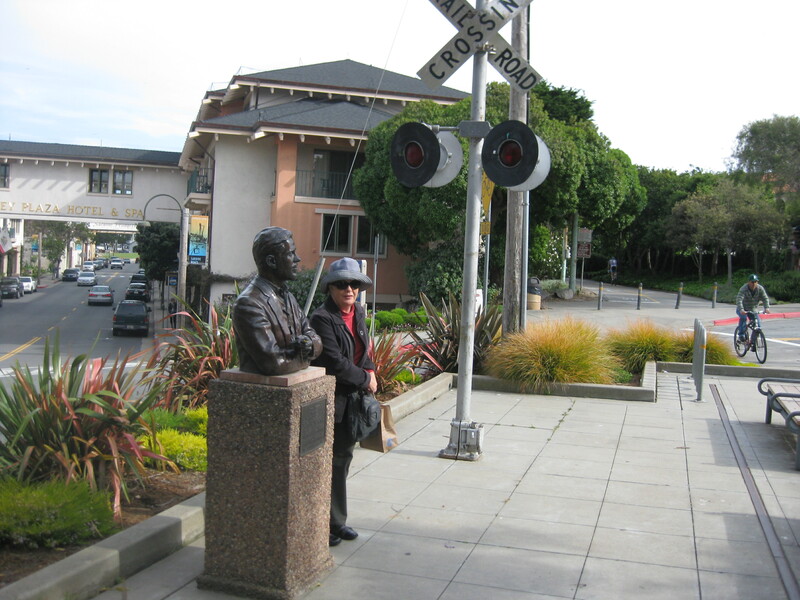 Beside a road crossing stands a bronze bust of Steinbeck’s friend and collaborator, marine biologist Ed Ricketts, “Doc” in the novel, who was killed by a train on this spot. 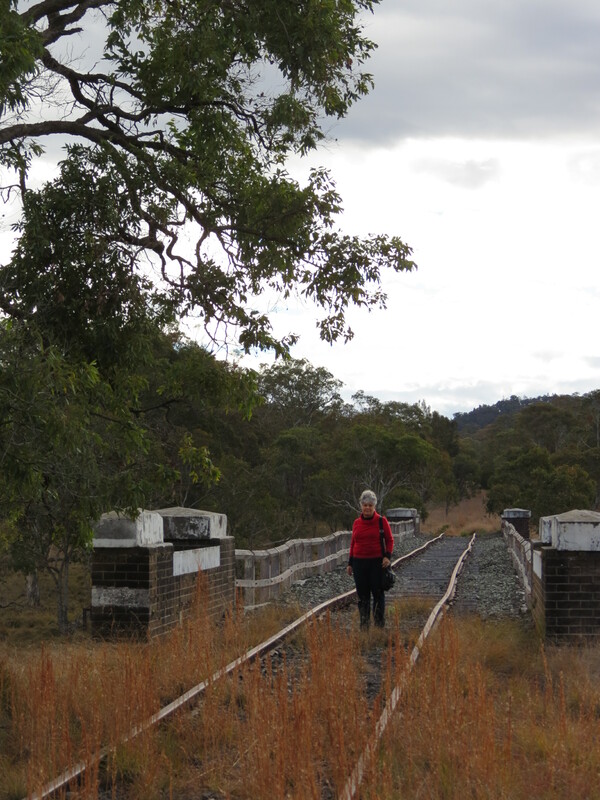 There are plenty of rail trails in Australia, and more are appearing all the time. The Rail Trails Australia web site shows, state by state, just how many trails are either in development or in use throughout the country. They range from rough gravel tracks to smooth bitumen with a white line down the middle, from short urban paths to trails hundreds of kilometres long. Many of them have tunnels. 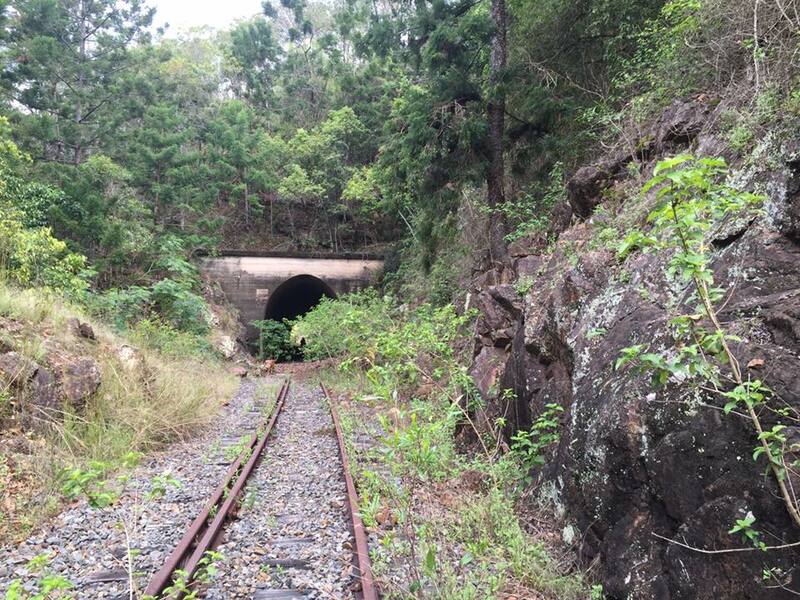 In Queensland, Boyne Burnett Inland Rail Trail aims to connect Monto, Eidsvold, Mundubbera and Gayndah and more, and includes heritage listed bridges and numerous tunnels. The hundred-and-sixty-kilometre Brisbane Valley Rail Trail has been popular with cyclists, walkers and horse riders for years. It connects Ipswich and Yarraman, passing through small towns along the way, with their coffee shops, bakeries and quaint country pubs. Watch out for magpies, though. They can be ferocious enough to ruin a cyclist’s helmet. 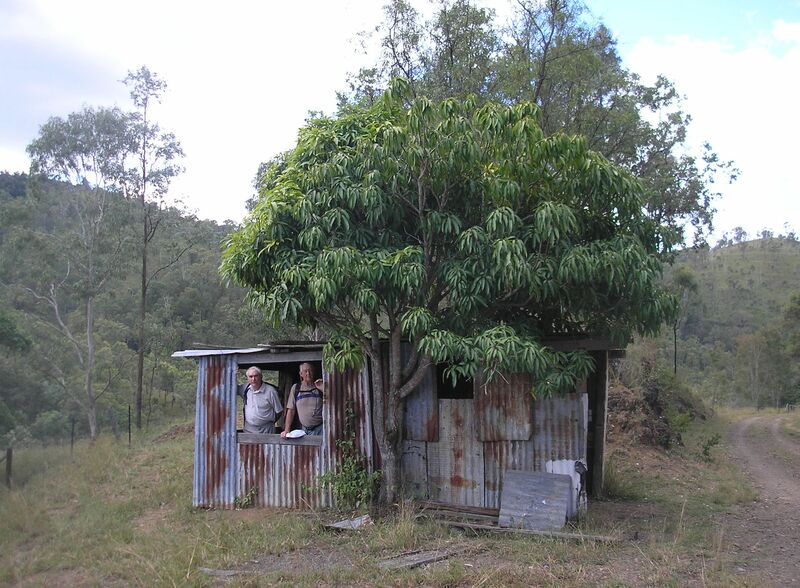 At the Gold Coast, traces can still be found of the old branch line through Southport to Tweed Heads. The footbridge at Currumbin Creek was once the rail bridge, and Coolangatta’s Lanham Street walking path runs up though a cutting and past the Police Station on a curve that once approached the railway station on Chalk Street. 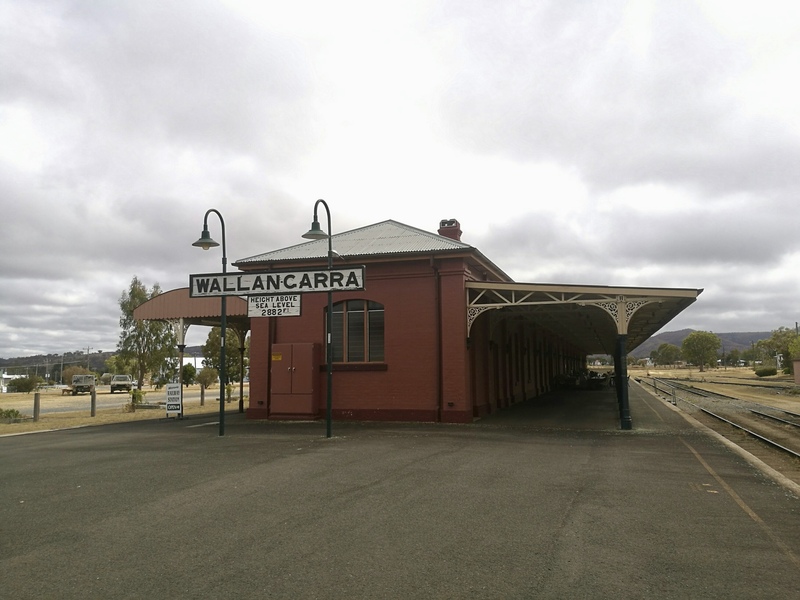 The trail that interests me most, and which has lots of tourist potential, is the one, currently under consideration, which would link Wallangarra, on the Queensland and New South Wales border, with the fine old city of Armidale, two hundred and ten kilometres to the south. 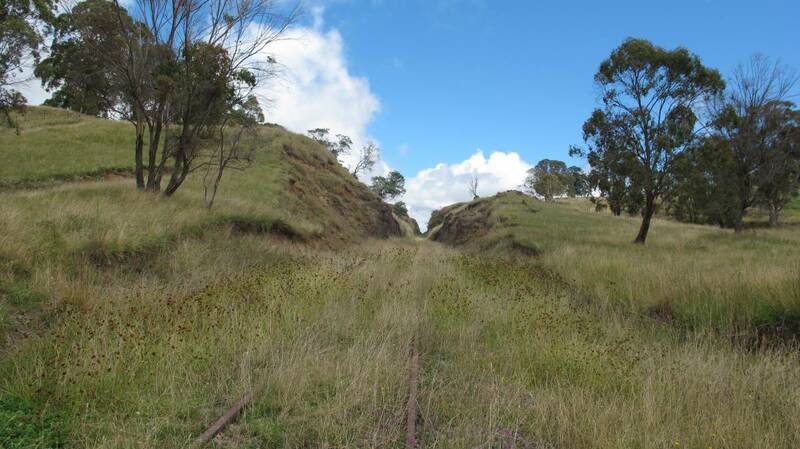 While on the Queensland side the line is still functioning, if only for heritage steam train trips, south of Wallangarra it lies derelict, its standard gauge tracks and infrastructure still in place. This is heroic country, with steep hills, wide blue vistas, granite boulders piled up and bulging out of hillsides, with an heroic climate to match, ranging from winters of sleet, snow and frost to oven-like summer temperatures. There are golden brown paddocks, kangaroos, sheep, and gum trees. The railway line follows the New England Highway, over it, under it and alongside, almost all the way. 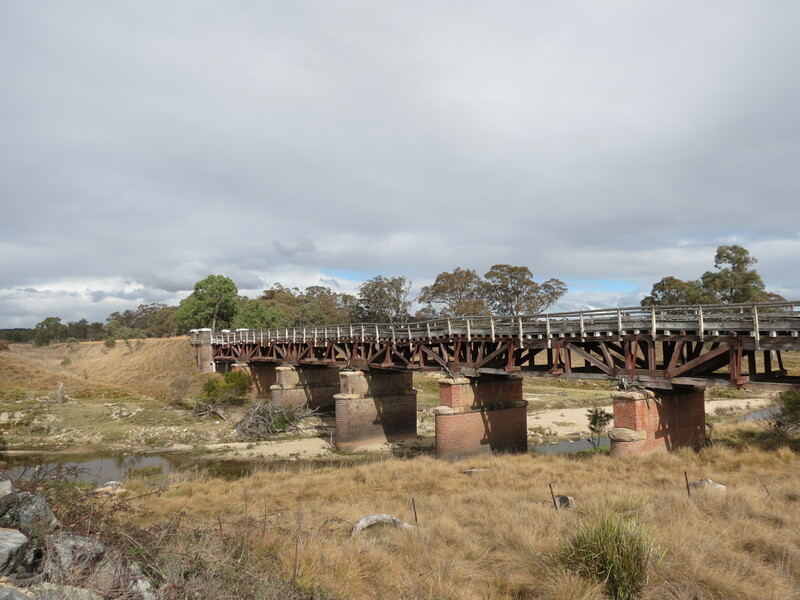 There are villages and towns along the line, bridges and culverts and old railway stations, some of them heritage listed and lovingly preserved by local groups. Ready for the stream of travellers a rail trail would bring, year-round. Many others are eager for the New England Rail Trail to be established, bringing jobs and tourism dollars to the towns along the way. They lobby the state government, and they have a Facebook page with an engaging title – NERT Inc. The trail is listed on the Australian Rail Trail web page as “Possible”. I say good luck to all of the Rail Trail lobbyists, opening up our landscapes to the world. Let’s hope that trail comes to fruition. It’s a safe way for cyclists to enjoy the countryside. It is indeed safer than the road for cyclists, and makes old-style foot travel an option, too, as well as horse-riding. And brings you quietly close to the landscape. Disused country and urban rail easements present excellent opportunities to create wildlife corridors as well as people paths. Yes, they do! The High Line is a very good example of this.